On Sale Now! 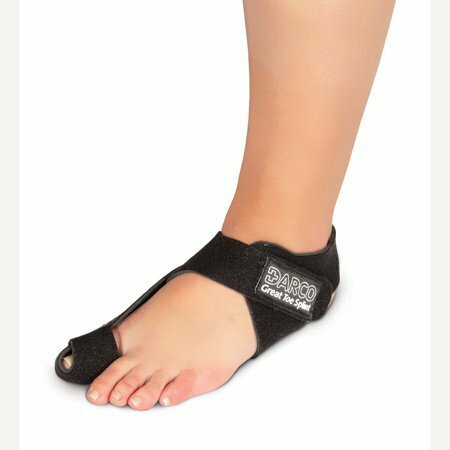 Save 7% on the DARCO GTS Black Great Toe Alignment / Bunion Adjustable Splint For Hallux Valgus And Other Joint Conditions (LG/LEFT W8-11/M10-13) by Darco at Bijc. MPN: na. Hurry! Limited time offer. Offer valid only while supplies last. An adjustable, postoperative splint. Indicated for relief of symptoms associated with hallux valgus and other great toe joint conditions. An adjustable, postoperative splint. Indicated for relief of symptoms associated with hallux valgus and other great toe joint conditions. Manufactured with lightweight neoprene and nylon, the GTSTM can be worn day and night, and its form-fitting design easily accommodates suitable footwear.